Let's talk about $10,000... how to get there and make it happen. Why $10,000? Because it's a number that's big enough to make a difference, but small enough to be achievable by most people who set out for it. And there are some crazy ways to make $10,000, so this will also be pretty fun! We recently discussed how to pay down $10,000 in debt in just one year. One of the strategies is to earn more money - but many people don't think they can earn $10,000 extra in just one year. Today, I'm going to show you some of the more unique ways that you can do it. 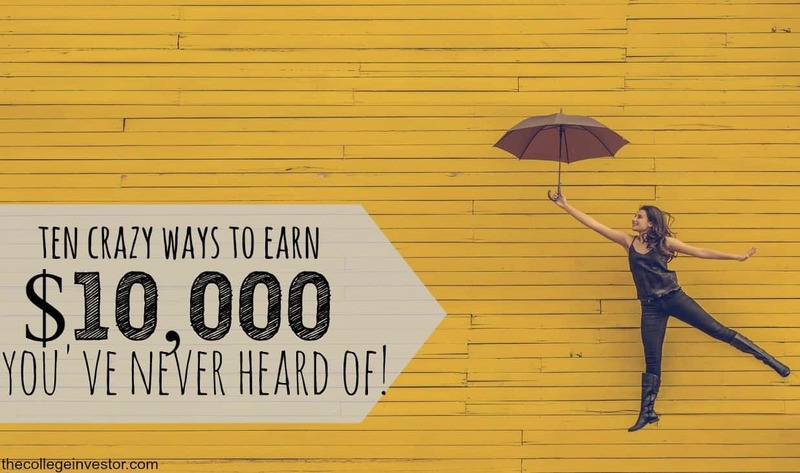 In reality, there are countless ways to earn $10,000 more in a year. That breaks down to just $833.33 per month. If you don't like these more extreme ideas, here's a list of 50 ways you can do it more of "the old fashioned" way. Believe it or not, these have happened. And people can make good money doing it. ​How much stuff do you have and how much do you really need? Studies vary, but on average, insurance companies believe that most adults have about $20,000 in personal belongings in their homes or apartments. This includes everything from furniture, to electronics, kitchenware, to clothes. Now, you don't have to sell everything, but if you really want to try, you can probably find $10,000 in things you don't need. For example, do you really need a couch in your living room AND family room (who uses a living room anymore)? Do you still need to have a DVD collection? Selling your stuff can be both liberating and profitable. In fact, studies have been done around this Paradox of Choice and how consumerism can really be challenging for people. Amazon: If you have items with packaging or UPC barcodes, Amazon is probably the easiest choice. I'm talking about things like books, CDs, DVDs, and new-in-box items. Amazon is the best because you can simply type in the UPC number, set a price, and your item is listed. eBay: If you have more custom or collectible items, or even used items, eBay is probably the best choice to sell your stuff. You can pretty much find anything on eBay for sale, and that helps as a seller try to get the best value for your stuff. Many sellers have had success with household items, clothing and accessories, and collectibles. Here's how I built a side business selling stuff on eBay. Craigslist: If you have larger furniture or items you want to sell, give Craigslist a try. It can be easier to sell bulky items locally because you don't pay for shipping. Plus, when it comes to furniture, people tend to want to see what it looks like before buying. Facebook Marketplace: The newest revolution when it comes to selling your stuff is Facebook Marketplace. It's very similar to Craigslist in that you can list an item and price, and people contact you. However, given it's Facebook, there is a little more trust in doing business. So, is this a crazy way to get to $10,000? Of course. You just need to sell $833 worth of stuff every month. What you find to sell will determine how crazy you're willing to take it. Over the last few years, it's become easier than ever to rent out your space - but you've probably never heard of it. And there are a few crazy ways to make $10,000 by renting your space, depending on how much space you have! Rent out space in your house (closets, attics, etc. ): If you have an extra closet, store room, attic, or random space, someone might be willing to pay you to use it. You can post an ad on Craigslist or a site like StoreAtMyHouse.com, take pictures, and put a price on what you're willing to rent your space for. People will pay for this because it can be cheaper that a storage rental. People are renting their closets for around $50/mo, to empty garages for $150/mo. Rent out your backyard: Do you have a large backyard? Or does your backyard bump up against something amazing, like a nature preserve? If so, you could be the ideal location to rent out your backyard. AirBNB allows you to list your backyard as an option for travelers. It’s free to list your backyard and you can even choose the amount you want to charge to campers. Rent out your driveway: Another option to rent out your space is to rent out your driveway (or other parking space you might have). JustPark.com is a website that allows you to list your parking space for rent to others. If you have a spot for an RV, you could post to RV Lots For Rent. If you rent your driveway for an RV, you can expect to receive several hundred dollars per month! Not a bad way to earn money for doing nothing. Maybe you don't have a lot of space to rent out, and maybe you don't want to sell your stuff. But there is a third option that is a pretty crazy way to make $10,000 - rent your stuff. Rent Your Car: If you're not using your car (or maybe you have an "extra" car? ), then you might consider renting it out. We first reviewed ﻿﻿T﻿﻿uro ﻿﻿ a year ago, and since then, it's grown tremendously. This is a website that lets you list your car for rent, and then connects renters to you who might be interested. Turo claims that you can make $1,000 renting your car, but even if you make less, it's still a great way to boost your income. Check out Turo here. Rent Your Stuff: If you have "stuff" around the house that you think others might like, you can rent it! For example, electronics, tools, lawn and garden stuff, and more can all be rented online. Our favorite sites that you can list your items for rent are Loanables and RentNotBuy. You can also list items for rent on Craigslist as well. Rent Your Clothes: If you specifically have items your want to rent in your closet, you can use a site like StyleLend to lend your clothes. Maybe you have a fun cocktail dress or a suit that doesn't fit anymore? These are the perfect clothing items to rent out to others who may need them but don't want to buy them. And you can make a little money doing it as well. Don't want to rent your car, but you still want to put it to use? Consider driving for Lyft to make that magical $833 per month. It's pretty easy to get started with Lyft - you just need to be 21 or older, have a 4 door car, and have a valid drivers license. There may be more specific requirements for your location. Once you get started, you can expect to earn around $19/hr according to the website Aliva. If you're trying to hit your goal of about $833 per month, that means you need to drive 44 hours per month to make it. That's only 11 hours per week - not a bad "crazy way to earn $10,000" if you ask me. If you want to learn more about how to make the most money possible driving for Lyft, check out this course called Maximum Ridesharing Profits. You will learn how to become a master rideshare driver and make the most money possible in the least amount of time. You can't win if you never play. And there is potentially big money in entering sweepstakes, gameshows, and more. But too many people dismiss this as a fools errand. Well, the great thing about trying to enter as many sweepstakes and contests as possible is... it really only takes your time. First, let's talk about gameshows. You know, shows like The Price Is Right, or the new one called The Wall. What a lot of people don't realize is you can have a pretty good chance of getting on these shows - simply because a lot of people don't try. Here's a great article about a strategy to almost guarantee you a spot on the show. And you can win substantial prizes - if you make it to the end, you could walk away with $20,000 or more! Definitely not something to scoff at. But okay, maybe you don't think you have a chance to get on a game show. But, you do have some spare time at night and would enter sweepstakes. (Important note: contests require you to do an action that can be judged, but sweepstakes just require you to fill out an entry form). It's a great time to be a freelancer! There are so many opportunities out there to earn money online, it is mind boggling. If you have any type of skill, from writing, to analytical, to finance, there are likely jobs you can do online and get paid for it. For example, if you can write, you can easily earn $800+ per month freelance writing for bloggers and other websites. It's actually how I got started making money online. I would write a short 300 word article for $20. It took a lot of articles, but at my peak, I was personally earning over $2,000 per month freelance writing. Check out this article on how you can get paid to blog. Another example is SEO consulting. If you like websites and have some analytical skills, you could become an SEO consultant and earn over $75/hr. That means you really only need to put in about 10-12 hours per month to get to your goal of $10,000 per year. Check out this free video course on how you can become an SEO consultant. If you have a little bit of money to invest, maybe you want to boost your return and see if you can hit $10,000 in income in a year? We've talked about strategies to earn $50,000 per year in passive income, but what if you're just looking to start with earning $10,000? Right now, we're big fans of crowd funded real estate opportunities. This basically allows you to pool your money with "friends" and others to purchase a property. Just like regular real estate investing, you'll get your portion of the income the property makes, as well as any appreciation that happens when it gets sold. RealtyMogul – RealtyMogul offers investors a variety of properties to choose from, including residential, mixed-use, commercial and retail. They don’t charge their investors fees, instead placing that burden on the property holders. Investors can start seeing a return just a few weeks after the project is funded. Check out RealtyMogul here. Fundrise – One of the most popular real estate crowdfunding sites, Fundrise has a minimum investment of $1,000 and charges between 0-3% in fees. The site is ruthless about which projects it accepts – only about 5% of proposals are chosen. Fundrise is another one of our favorite sites simply because of the range of investment properties they have to choose from, but also because you don’t have to be an accredited investor to invest – they are one of the only platforms that allows this currently. Another option if you have a little bit of money that you're looking to leverage is to lend money to others! 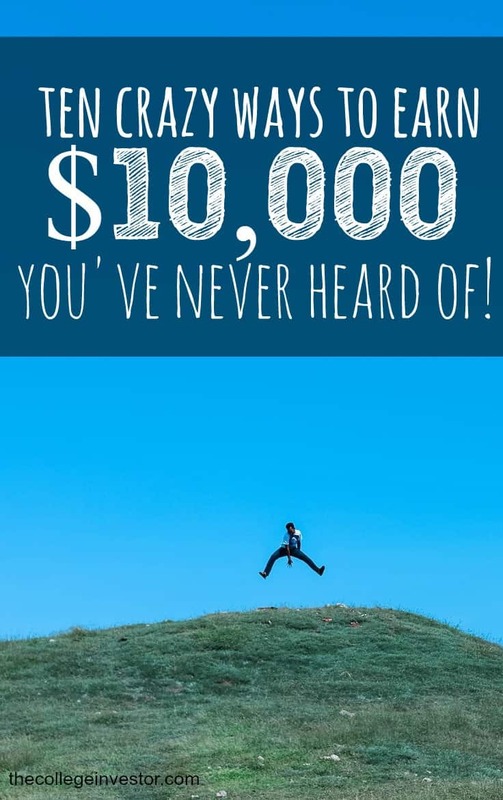 This sounds odd, but being a lender can be a great way to earn $10,000 or more! There are also platforms out there that make it really easy to get started. The main companies in this space are Prosper and Lending Club. These companies offer personal loans, that typically range anywhere from $1,000 to $40,000. These personal loans can be used for anything, from refinancing student loan debt, to doing home improvement projects. As a lender, you can invest in loans that meet your criteria for interest and time. You get paid back principal and interest every month, and you can reinvest that money into other loans. Check out Lending Club and get started! This is one of my favorite ways to earn money online - start a blog (just like this one). The hard part about starting a blog is that you won't make huge money overnight. But it's possible to make $10,000 in just a year if you work at it. For reference, I didn't make much in my first year, but I made more than $10,000 by year 3, and I was making $30,000 per year by year 4. You can really make a lot of money online if you work at it. But even better, getting started is cheap. I got started with a website on Bluehost because it was recommend by others and it was cheap. Right now, you can start a blog on Bluehost for as little as $2.95 per month. Once you get going, read my tutorial about how you can setup your blog and start making money from it. Okay, this one is just for the ladies, but it's also one of the more lucrative crazy ways to earn $10,000 or more. That's becoming a surrogate. Yes, a surrogate. This definitely isn't for everyone, but for those who are up to carrying a baby and giving birth, it can be very rewarding. Surrogates can earn anywhere from $30,000 to $50,000. But remember, it's really a full year of work. Before you get pregnant there is typically a lot of medical appointments and check ups. Then you get pregnant and have to carry the baby for 9 months. Then you deliver him or her, and have to give him up to the parents. The whole process can be tough both physically and emotionally. But for the money, it could be worth it for the right person.